Walsall are 17th in the table with 44 points or only 5 over relegation zone and if don't improve their form very soon will be closer to danger zone. They won only 1 from last 6 games in league. In this period beat Southend with 3-0 and finished 0-0 vs Gillingham, while all other matches has been lost. In the previous two rounds made two loses without a scored goal after 0-2 against Shrewsbury away at home and 0-3 against Rochdale at home, which is pretty bad moment form. Wigan are third in the table with 71 points or only 3 behind Shrewsbury, but also with 2 games less than them, also 5 points behind first place and Blackburn, but also with 3 games less than them, so the team is with huge chances to finish first or second and promote directly to Championship. They are with so many games in hand, because of their FA Cup campaign, which ended before a couple of days with a lose versus Southampton with 0-2 on 1/4 finals. Before that the team eliminated 3 Premier League sides, which is impressive and more impressive is that they eliminated even the best English side at the moment - Manchester City with 1-0. After all, Walsall are under huge pressure as only 5 points over relegation zone and not in form after 4 loses from last 5 league games, while Wigan's performance in all competitions is impressive, so here an away win is expected. 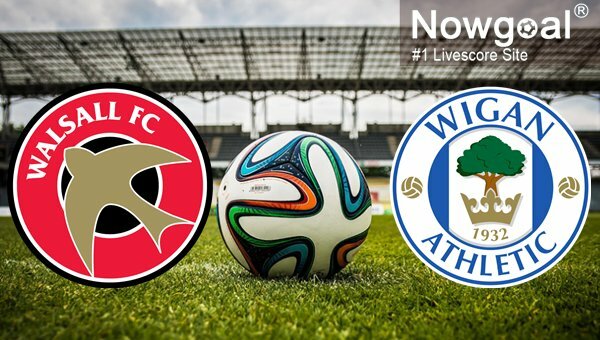 Wigan won last two head to head meetings versus Walsall with 2-1 and 2-0.